E.L.F. Cover Everything Concealer- absolutely love for a little light contouring and hiding the dark spots and circles…and its $2.00!!! 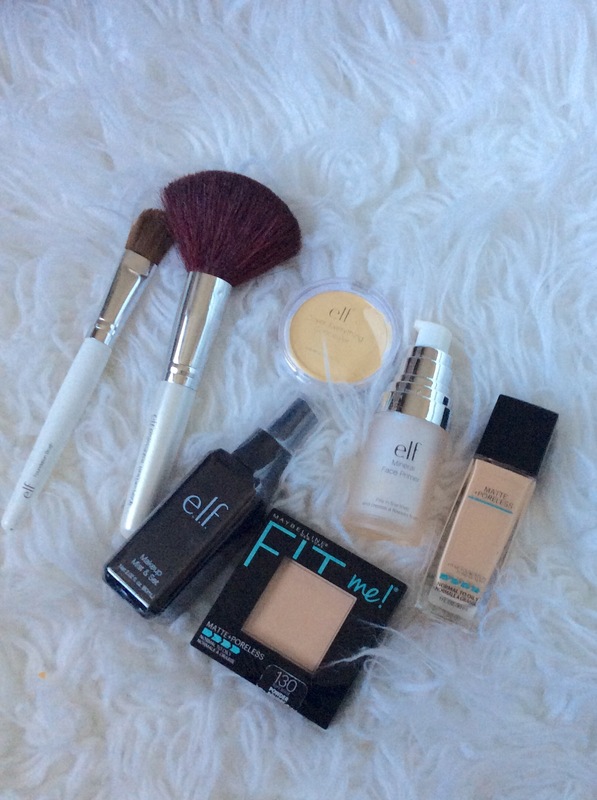 E.L.F Mineral Face Primer/Makeup Mist Set & Brushes- I am a huge fan of e.l.f…clearly…I keep these two products on hand always for a clean fresh look. I keep a few of these extra brushes in the car even for those busy days where I’m literally running out the door with concealer in a hurry! Maybelline Expert Wear Eyeshadow- I love these color combinations put together…shown here in Chai Latte…lasts for hours when used with primer..very shimmery solid colors..beautiful on….$4.99!!! E.L.F. 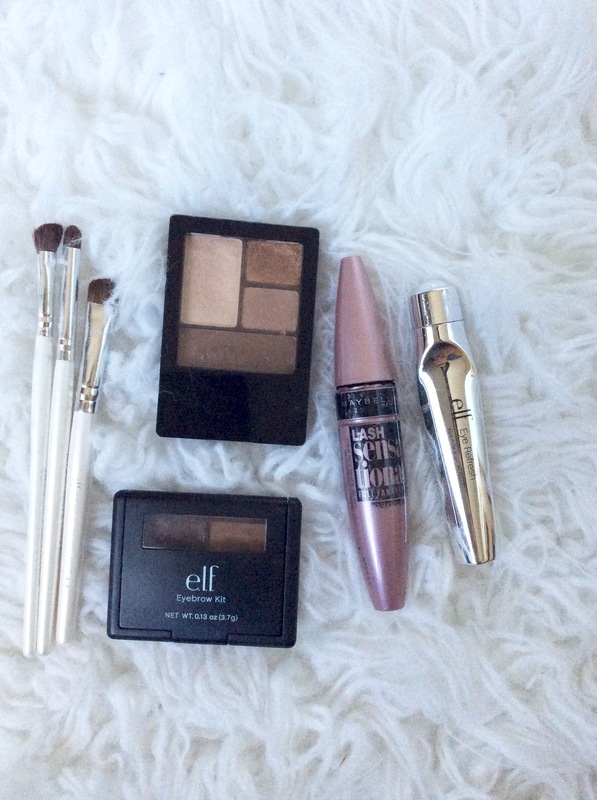 Eyebrow Kit & Eyeshadow Brushes- this eyebrow kit is one of the best products out there. Goes on great and perfect for a quick eyebrow fix….$3.00 y’all! The brushes are cheap and do the job wonderfully. E.L.F. Eye Refresh- I use this right before applying makeup to liven up the tender under eye area and help with puffy circles…looooove!!! $3.00!! Revlon Ultra HD Matte Lipcolor- my favorite matte lip product out there..shown here in Rogue…cost $8.99…rich creamy color with perfect matte finish… I keep one of these in my diaper bag at all times…perfect finish to any look. So there you have it…all these things are in my bag and some of my absolute favorite/worth it steals & dupes. 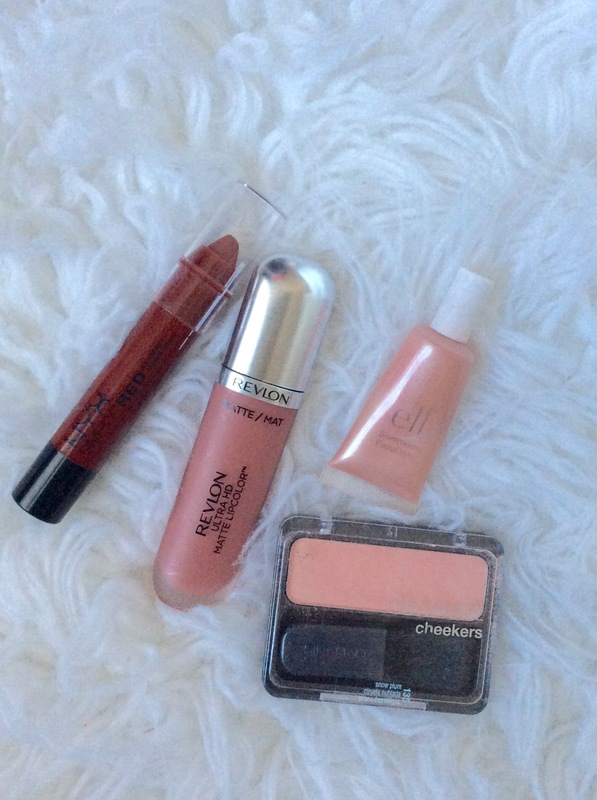 I’ve compared to some of the pricier counterparts and find these products hold up majorly. Use it all together for a beautiful flawless glow that comes together in a matter of minutes. Perfect for any occasion. So try it out if you haven’t and find your favorites!!!! There are some hidden gems in that brand girl! Try it out. I have wrote about them a lot!